ZTE, the Chinese smartphone and network equipment manufacturer that is banned from receiving U.S. exports until March 2025, has filed an application with the U.S. Commerce Department seeking the suspension of the ban. Perhaps we should recap for those coming in late to the story. In 2017, ZTE was fined $1.19 billion by the Commerce Department for selling goods and services to Iran and North Korea. 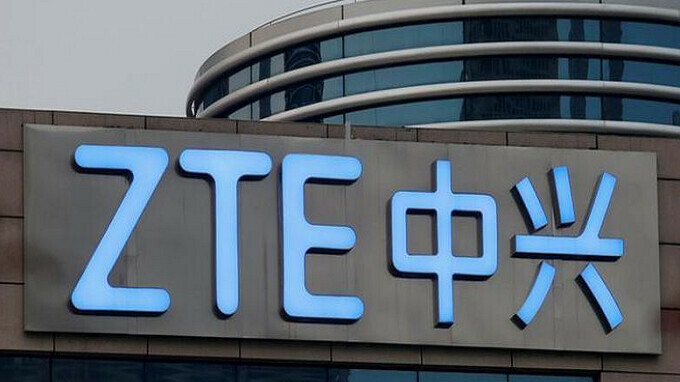 Additionally, the company was banned from receiving U.S. exports for seven years, although that part of the punishment was stayed as long as ZTE wrote those involved a letter of reprimand and withheld their bonus payments. ZTE lied about its compliance, and now it can not receive any U.S. exports until March 2025. While ZTE has no "administrative appeal rights under agency regulations, " the Commerce Department has reportedly agreed to hear the company's appeal "on an informal basis." ZTE also said that it would take legal action. And a report published today says that the manufacturer has submitted an application to have the U.S. export ban suspended. The ban could prevent ZTE from licensing the Google Play Services version of Android and could prevent the company from procuring Snapdragon chipsets. In a filing with the Shenzhen stock exchange made today, the company said that it has provided the Commerce Department with additional information that it requested. ZTE says that the ban is unacceptable and threatens its survival. While U.S. officials deny it, in China the Commerce Department's actions against ZTE are seen as a negotiating tactic as both countries try to end a trade war initiated by the U.S. The Trump administration, unhappy with the huge trade deficit that the U.S. has with China, has requested a 25% tariff to be added to more than 1,300 imported products from China. In retaliation, China has proposed a similar tariff on U.S. imports. Later this month, there will be public hearings in the U.S. on the tariffs with final objections from U.S. firms due on May 22nd. Last month, a report from the Wall Street Journal claimed that the U.S. Justice Department is investigating the world's third largest smartphone manufacturer, Huawei, for ignoring sanctions against Iran. Huawei, based in China, could also face a ban on U.S. exports; the company has been working on its own operating system for years and produces its own Kirin chipsets which will soften the blow if it is not allowed access to U.S. software and components.